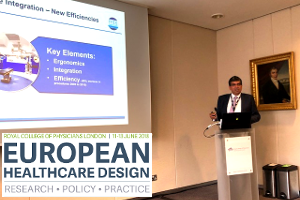 The Fourth European Healthcare Design Congress and Exhibition was held at the prestigious Royal College of Physicians in June. MTS were delighted to attend, and this year sponsored the seminar on Integrated Technology in the Operating Theatre. Our very own Andrew Frost, Technical Services Director, spoke on Operating Theatre Efficiencies. 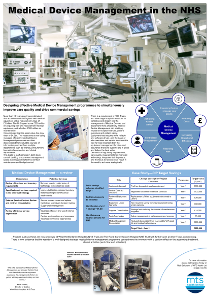 Also profiled at the Congress was the work MTS are doing with the NHS Trusts in CIP Medical Device Management. MTS were delighted to work closely with Salus, Co-Organisers with Architectural Health of the Congress and we look forward to 2019.